We are one of the professional China manufacturers work at Coiled Tubing Tools. The following items are the relative products of the Coiled Tubing Tools, you can quickly find the Coiled Tubing Tools through the list. Motorhead Assembly is the standard tools used for coiled tubing operations, the motor head is in one compact assembly, which is easy to operation. The Compact Hydraulic jar(up/down) with accelerator and flow coupling make up the coiled tubing heavy-duty string. 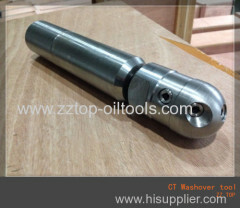 Wireline connector is used to quickly connect downhole tools for coiled tubing operation, ZZ TOP supply the tools in high quality. The Hydraulic releasing overshot is used to fish the tools during coiled tubing operation and heavy duty fishing operation. The Hydraulic releasing "GS" spear is used to fish the tools during coiled tubing operation. The Venture Junk Basket with robust design is the fishing tools used in coiled tubing operation. The Bow Spring Centralizer is designed to assist in centralizing the coiled tubing in large bore completion tubing. The Anti-Torsion Hydraulic Jar is the designed tools to make up the coiled tubing heavy-duty string. The Compact Hydraulic Jar(up/down) is the part to make up the coiled tubing heavy-duty string. 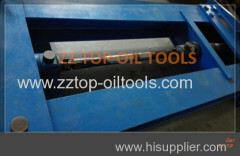 The heavy hydraulic safety joint supplied by ZZ TOP is designed to be loaded high tension and torque, the tools is cost effective. The double flapper check valve is the standard part of the coiled tubing string, ZZ TOP supply the coiled tubing tools in high quality. 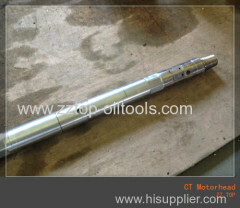 The screw connector is the tool to connect the coiled tubing and downhole tools/tubing string, which is used for the coiled tubing operation. 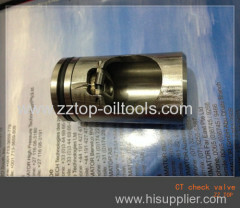 Annular pressure operated connector is used to connect coiled tubing by crimping tools, ZZ TOP supply the tools in high quality. 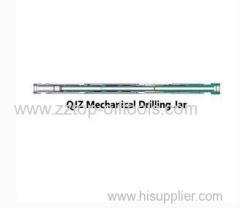 Double slip connector is used to quickly connect downhole tools to coiled tubing, ZZ TOP supply the tools in high quality. 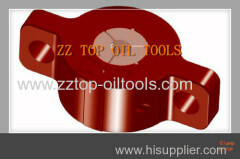 Group of Coiled Tubing Tools has been presented above, want more	Coiled Tubing Tools , Please Contact Us.